Smith & Wesson Military Watch Black | BUDK.com - Knives & Swords At The Lowest Prices! 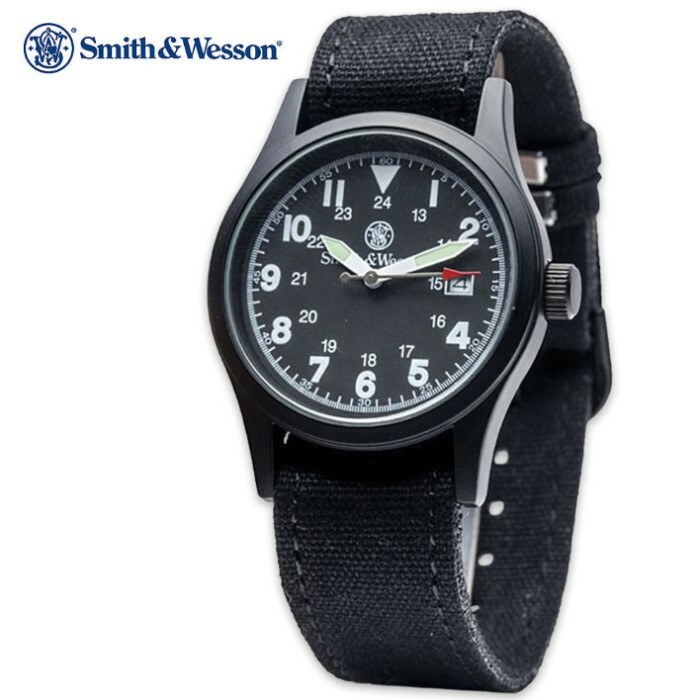 Smith & Wesson's black military watch delivers you Smith & Wesson's legendary reliability in the form of a tactical military wristwatch featuring quality Japanese movement. The 38x10MM case is an ideal size for wearing this watch in the field, and the three changeable canvas straps allow you to coordinate your colors well. Includes tan, black and OD green straps. The scratch-resistant hardened mineral face protects the dial, which indicates hours, minutes, seconds and the date.